INDIANAPOLIS, Indiana — The Indianapolis Zoo is facing it's second loss in less than a month after a female orangutan died on Tuesday. Kim was a 39-year-old orangutan who came to the Indianapolis Zoo with her infant, Max, back in 2016 from the Jackson Zoo in Mississippi. 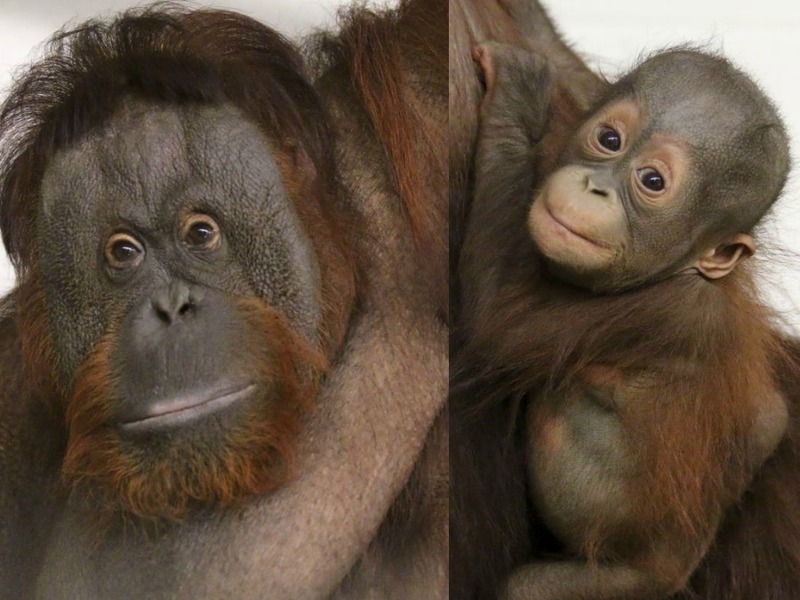 The pair was moved to Indianapolis for their state-of-the-art orangutan center and expert ape caretakers after Max started showing signs of slow development. Zoo staff says Kim was obese and suffered from respiratory issues when she arrived in Indianapolis, and although she lost weight her respiratory issues never cleared up. Kim’s necropsy showed that she died from a respiratory disease. Max, who was diagnosed with hypothyroidism is thriving on medication and is being taken care of by his surrogate mother, Knobi. Kim’s death comes less than a month after the Indianapolis Zoo lost their male lion, Nyack, following an attack by the female lion, Zuri. The two lions had lived together for eight years and zoo staff says they had no indication that anything like that would ever occur.